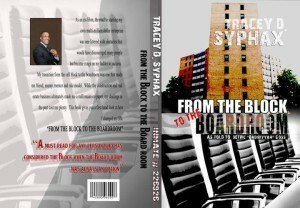 Mr. Syphax is a former Co-Chairman of the Board for the Mayor’s Office of Employment & Training (MOET) in Trenton, NJ. Presently he is Co-Chairman of the Board of the African American Chamber of commerce of New Jersey. He also Chairman of the Trustee Board at Union Baptist Church. 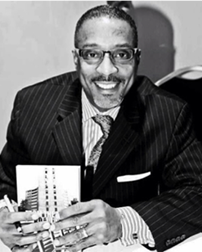 Mr. Syphax is a former board member of Capitol City Redevelopment Corporation nominated by Senator Shirley Turner and appointed by Governor Christie to oversee Millions of dollars in construction around the Capitol District. Mr. Syphax is the 2011 Princeton Regional Chamber of Commerce Entrepreneur of the year, the 1st African American to receive this award in the Chambers 51 year history! Mr. Syphax out of an unprecedented 900 Nominees throughout the Country is a 2014 White House “Champion of Change” Honoree for his diligent work in the Re-entry field and for being a strong advocate on behalf of the formerly incarcerated. In addition one of his proudest programs, of which he is a Founding Board member and now Chairman of the Board, is the Minding Our Business (MOB) program. This a 18 year old National award winning program that mentors and teachers 6 & 7th grade students in the Public School system how to start and operate a business. 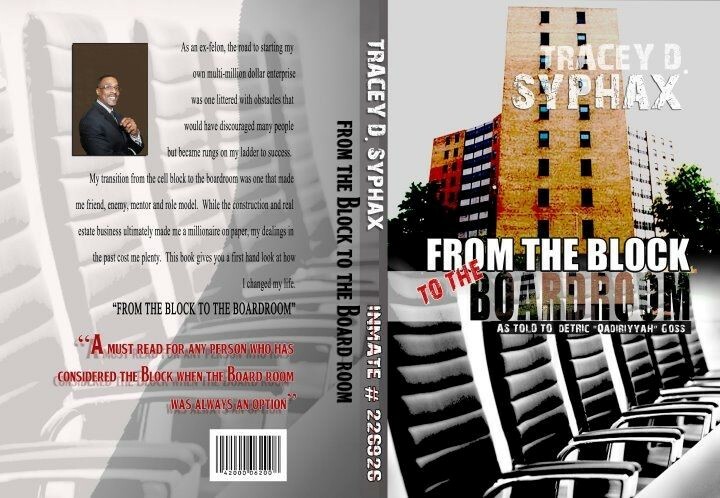 Mr. Syphax is also Author of the award winning Memoir “From the Block to the Boardroom” detailing his life story. Mr. Syphax resides in Trenton’s West Ward with his wife of 29 years Margaret Syphax. He has a daughter Trachell, a son Marquis and two granddaughters Brooklyn and Sanaa. From the Block 2 the Boardroom LLC. 667 Martin L. King Jr. Blvd.